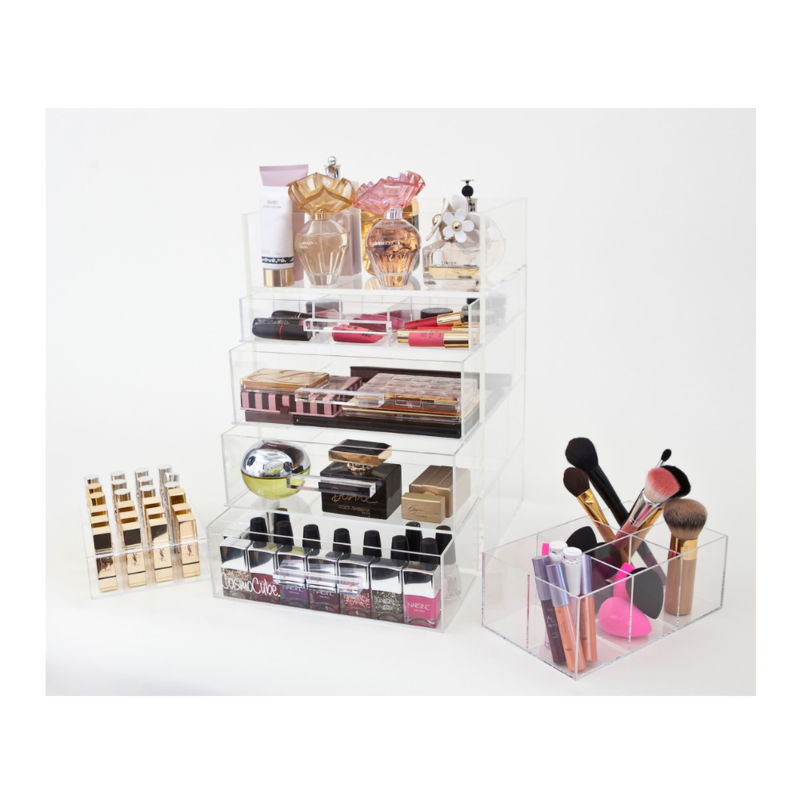 There are 4 drawers in the CosmoCube Luxury Edition plus the Lipstick Organizer and Brush Holder described above. The lowest 3 drawers are extra large (3 1/2 inches deep) to accommodate nail polish and/or hair products. The top drawer is 2 inches deep and includes our most popular 9 section divider. 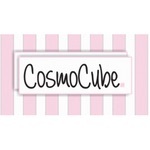 This CosmoCube exclusive divider, holds your beauty essentials such as tweezers, clippers, files, and more lipstick because you can never have enough lippies!